Hollywood, California: November 22, 1963. On his deathbed, unable to speak, Aldous Huxley made a written request to his wife Laura for “LSD, 100 µg, intramuscular.” According to her account in her book “This Timeless Moment,” she obliged with an injection at 11:45 am and another, a few hours later. Huxley died of throat cancer, aged 69, at 5:20 pm. 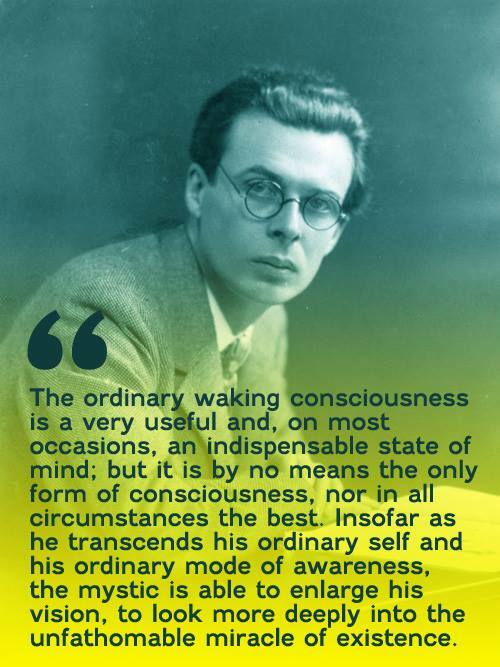 Huxley was not the first human to use psychedelics on the deathbed, and he would certainly not be the last. After a 40-year hiatus, international trials are revisiting the role of psychedelic drugs in treating end-of-life anxiety. Studies have been conducted in Switzerland, at UCLA, Johns Hopkins, and at the Harvard Medical School. Evidence suggests that LSD and similar substances can help patients to resolve existential issues surrounding their impending demise. In the 21st century, Western culture doesn’t handle death very well. If these materials can help us to make the transition in peace, shouldn’t they be explored? Today’s adult uses tools such as nutrition, vitamins, meditation, and yoga to improve our quality of life. What about our quality of death? We’re learning to take care of ourselves, spiritually, mentally and physically. Conscious dying is a natural next step.